If you like this template, please don’t forget to rate it, that would be GREAT!!! NOTE: Version 2.1 Twitter functionality now works. 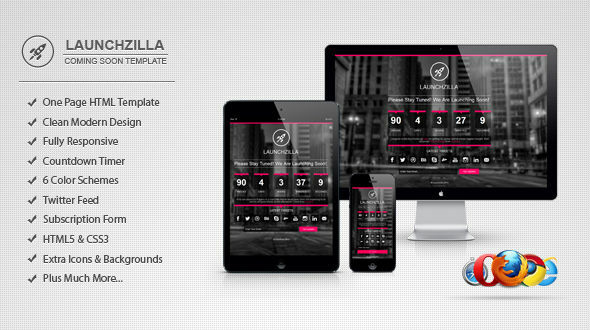 Launchzilla is a Responsive HTML Coming Soon template perfect for keeping your audience informed until your launch.